We were contacted by an OMNI Celebrity Entertainment gift suite producer and invited to present Thinker Clothing(tm), Knowledge as Your Style(tm), to attending celebrities at the 41st Annual NAACP Image Awards at the Shrine Auditorium in LA on 26 February 2010. Armani Exchange and some Versace. We got a lot of great response to the launch of www.retailblogging.com. We also got a lot of questions. So I figured I'd answer them all in this post. WRITING: The writing is being done by a professional writer and editor, who has many years of experience in fashion magazines. Her writing is stellar, and if you'd like to see samples of it you can check out her own blog at stuff2eat.blogspot.com. Piazza Sempione with a colorful Dior bag. See images from Hip Line's latest NY fashion Show! I Heart NY!! Rene Caovilla's spring/summer 2010 collection can be described with just 4 (four) words: very beautiful and very expensive. Why does everything I like have always be expensive?! You Decide! 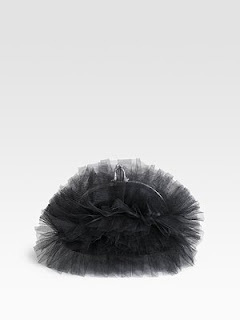 Hand"GAG" or Tutu....Mr. Louboutin? Ungaro & Armani a blissful combination.